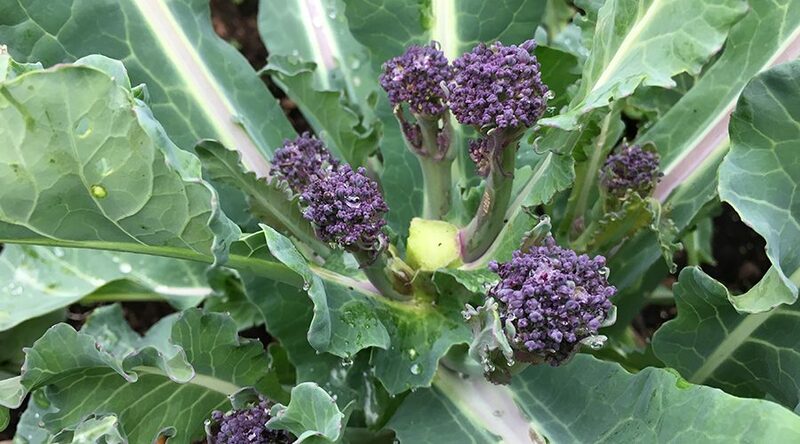 Depending on when you planted, you may start to see the first spears of your purple sprouting broccoli round about now. Harvesting is easy, but here are a couple of top tips. Firstly, don’t worry if it looks like each plant is only growing a single broccoli spear. Forming a broccoli head at the top of the plant is just phase one, and will soon be followed by a series of broccoli spears from sideshoots. You can speed things up by harvesting the first spear. Use a pair of secateurs or a sharp knife to cut it off. Do this while the broccoli is still quite firm, before it opens into flower. The plant will then start to produce lots of sideshoots. As they reach a harvestable size in the following days, cut them off, including about 10cm of stalk. Again, make sure you harvest them before they flower to keep the plant productive. You should get a good harvest for a few weeks. Broccoli will store fairly well in the fridge for a few days. 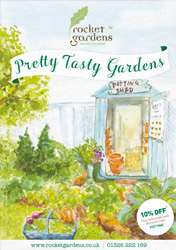 Our top tip when preparing it is to check thoroughly for caterpillars as they can hide really well! An easy fix is to soak the broccoli in a bowl of warm water with a splash of white vinegar and a pinch of salt – leave it for 15-20 mins and any caterpillars will float to the surface.